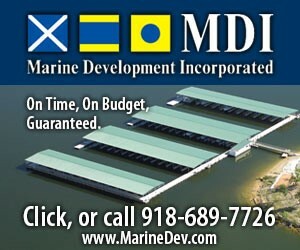 Many marinas and boatyards have customers and employees who need to use ladders to gain access to a boat stored on land. Boats are commonly stored on land, “on the hard,” on cradles or boat stands; a drystack boat rack; or on a trailer. All of these boats have one thing in common, the need for accessibility. At any given time, a customer or employee may need to board a boat. It is important that the marina or boatyard consider the proper selection and use of the ladders for its customers and employees. Unfortunately, some marinas and boatyards have given little consideration to the selection of ladders that the customers or employees use. Over the years, I have observed many clever and nefarious ways employees and boaters have boarded various vessels without the use of ladders, and very few would be considered safe. Usually the absence of proper ladders has led to these “alternative” ways to board a boat. The American National Standards Institute (ANSI) and the Occupational Safety and Health Administration (OSHA) provide a number of safety requirements for ladders, which should be observed. Stepladders that are used in many facilities often do not meet a number of the ANSI and/or OSHA requirements. ANSI A 14.5-2007, Table 27 provides a detailed “Summary of Significant Accident Causes” relevant to two commonly used ladders: self-supporting (stepladder) and non-self-supporting (extension and single) ladders. Table 27 provides various causes of ladder accidents for the different ladder types, and finally a breakdown of the “Possible Factors Involved in Accident.” Table 27 describes accident conditions that marinas and boatyards should be considering if they are providing ladders for their customers or employees. Let’s discuss a few scenarios in which the marina or boatyard should consider having ladders available for use. The invention of the drystack boat storage systems has provided a means for many boats to be stored in a number of levels in a small footprint. Initially, the boats using these systems were small boats which normally in the past would have been stored on a trailer. Today, newer drystack boat storage facilities can store in excess of 500 boats and handle boats that are more than 50 feet in length. As boats in all upper levels are not accessible for individuals to board, the boats must be placed on a lower level rack for someone to gain access. A number of drystack boat storage systems provide stepladders to gain access to the boat. 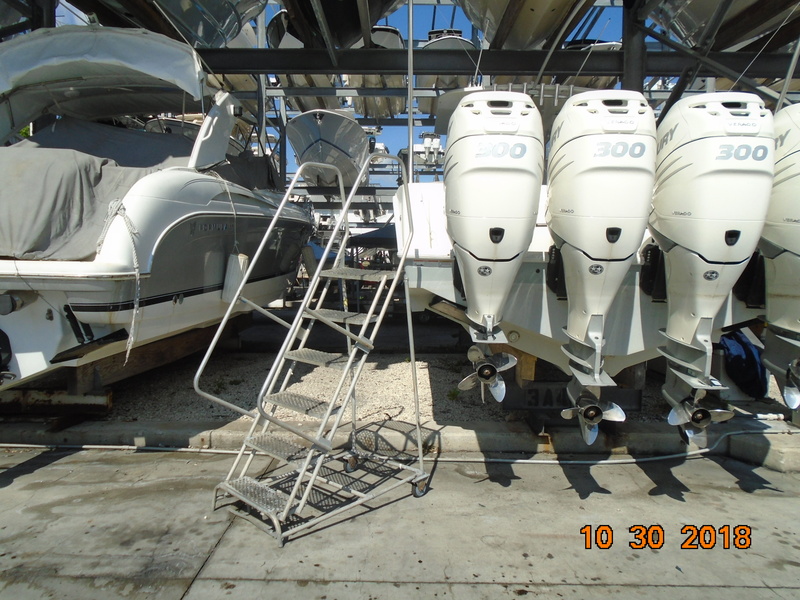 Many of these stepladders have safety deficiencies, whereby they are too short for the boat being boarded, unstable due to side loads being applied (stepping off the ladder), or are inadequate for the ground conditions. Larger boats (especially sailboats) that are stored on cradles or boat stands usually stand taller/higher than boats that may be in a work rack or on a trailer. While large stepladders are available, the stepladder issues discussed in the previous paragraph are valid with the larger boats as well. A suitable single ladder (not a stepladder) or an appropriate sized extension ladder may be used. Care needs to be given to the appropriateness of the ladder selected for the conditions present. When single or extension ladders are used, the side rails of the ladders shall not extend less than 36 inches above the level being accessed, and the ladder shall be lashed, blocked or otherwise secured to prevent the ladder being displaced. At many marinas and boatyards, employees share the same ladders that the customers use. OSHA has requirements set forth in 29 CFR 1926 Subpart X—Stairways and Ladders: §1926.1053 Ladders. Ladders designed in accordance with various ANSI standards may be considered in accordance with 29 CFR 1926.1053 (a) (1). All ladders being used at marinas and boatyards should to be inspected and maintained on a regular basis. Certain maintenance issues may require a ladder to be destroyed instead of being repaired in accordance with the instructions of the ladder manufacturer. All inspections and maintenance should be recorded and maintained in a written log. In cases where a marina or boatyard has more than one ladder, an identifying number should be placed on the ladder for easy identification. Part of the inspection program should be to make sure all safety and warning labels are visible and in legible condition. An assessment of a marina or boatyard should be completed in order to understand the various risks when the selection of ladders is being made. The appropriate style and size of ladders should be selected for the conditions present at the facility. Users should be instructed in the safe and proper use of ladders. And don’t forget sometimes employees and boaters are better served with a permanent or mobile platform accessed by proper stairs, all with proper railings. Carl F. Wolf, CMM, CMI, is a marina and boatyard expert with Robson Forensic in Palm Beach Gardens, Florida. You can reach him by phone at 561/626-5771 or via email at cwolf@robsonforensic.com.